Please enjoy our newsletters. Inside each publication you will find numerous links to additional content and related websites. 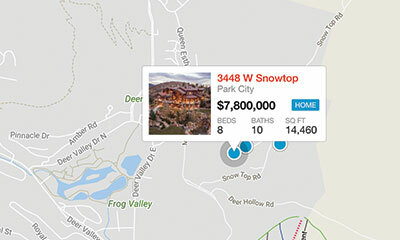 What impact is new construction having on the Park City area real estate market? Buyers and sellers will find excellent advice and information in this issue. Find out also about recent statistics for sold prices and how to get copy of our New Construction Guide. Ron Wilstein describes what he calls the 'Park City Real Estate Myth,' and provides helpful advice for current market conditions. Other articles include information on where you should buy a ski condo, three things to do before you list your property, sold statistics and prices on Park City homes, condos, and vacant land, and three fantastic multi-resort ski passes. Ron Wilstein describes two market conditions in Park City: the limited supply of correctly priced properties for sale and the abundance of over-priced listings. 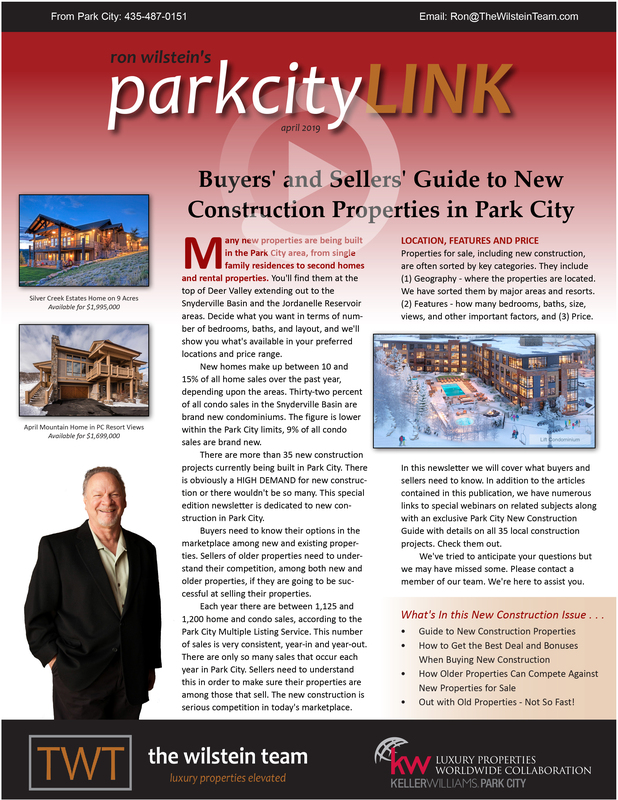 Other articles include a discussion on the days on the market of homes sales and active listings, sold statistics and prices on Park City homes, condos, and vacant land, how to avoid wasting time searching for the wrong property, how we use social media marketing to boost sales, and details on the three multi-resort lift passes.